Rejuvenate Outdoor Cleaner Concentrate 32 oz. With the time and money we invest to keep the interior of our home neat and clean, we may neglect the importance of exterior maintenance. Ace offers a variety of outdoor cleaners that will help keep to the outside of your home looking just as well kept as it does on the inside. Over time, windows collect dirt and dust that is stirred up outside, making them look dingy and dull. Applying an outdoor window cleaner at least once each season will help to keep your windows looking clear. These cleaners often times include special applicators or can be applied by attaching to your garden hose. Spending time outside is much more enjoyable when you are relaxing on a clean deck. Keep your deck in top shape by cleaning and sealing it at least once a year. A wood sealer will protect the deck from moisture and help extend its longevity. Before applying a sealer it is important to thoroughly clean your deck. Once your deck is swept clear of debris, you’re ready to scrub it down with a deck cleaner. Ace carries several deck cleaners, including a specially formulated composite deck cleaner. For large decks, a pressure washer will help save time. When it comes to exterior maintenance in the warmer months, many homeowners overlook their air conditioning units. A coil cleaner helps to remove the dirt that accumulates on air conditioner fins and coils from exposure to outdoor elements. Using coil cleaners will keep your unit working more efficiently, keeping your home cooler while saving you money. 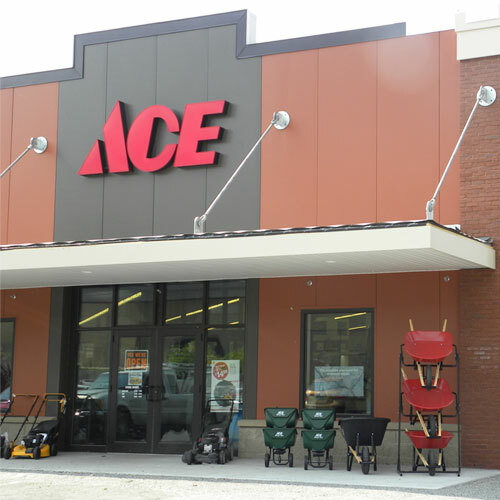 Be sure to keep the exterior of your home clean with help from Ace. We have everything you need to keep your home beautiful, inside and out.